Jim Gessner recently sent me photos from Joe Freitas' personal collection. 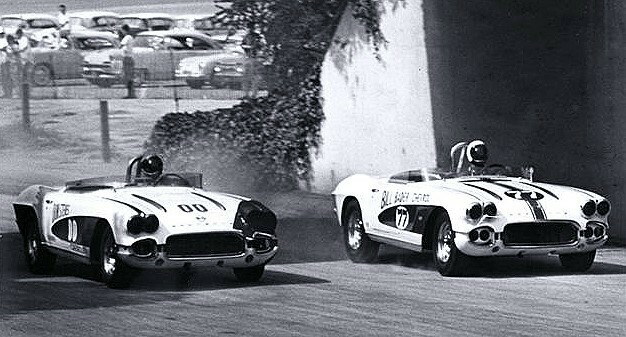 The photo above shows Freitas & his friend, rival & mentor Dave MacDonald at Pomona in 1962. I don't know if the photo is from the July or August meeting. I also don't know the identity of the photographer. This powerful image of the two battling in equal cars at the height of their powers brings back poignant memories of those great days.